I've been hoarding a lot of these ever since the rain started. Mosquitoes is very prevalent in the Philippines and so does Dengue. Duhn! Duhn! Duhn! 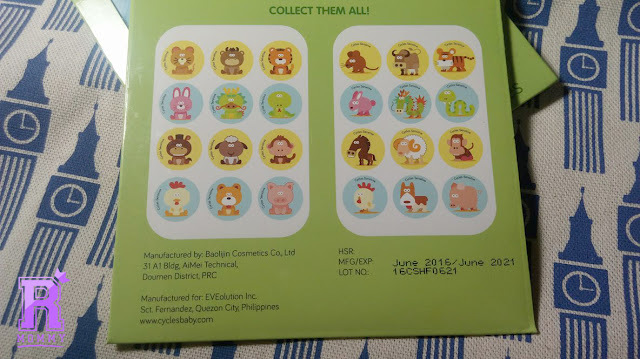 These mosquito patches were recommended to me by my aunt as she use these to her son whenever they go out. Sabi nga nya' "Just stick and go! Okay na". So, here I am, a first time mom who is not a fan of putting strong mosquito repellent lotions decided to purchase a few for Arya. Peel-off patch from the pack and stick on the clothes, strollers, bags, and other objects near your baby/child. The natural citronella extract keeps mosquitoes away once opened. Store remaining patches in the resealable pack for future use. So basically, it's a very easy-to-use - non-messy - greasy - mosquito repellent product - which what I looove! I don't actually stick these to Arya's clothes. Instead, I stick this to our doors, windows, air conditioner, and walls. If only possible, I'd cover our house with these patches. lol! Honestly, it's very convenient for me. Some of you may have problems with the smell if you're not a fan of minty-cool-refreshing-herbal scent but me, na-uh! Love it! - I think it is just me - being a fan of Efficascent Oils and Bengay. haha! Just like the popular game - Pokemon Go, you can also go and collect them all! Cuties! I can't remember what the price exactly but it is less than a P100.00 for 12 patches. I usually get mine from Baby Company. I believe these are available in leading baby stores. I'm giving this 5 stars! It's very convenient, affordable, easy-to-use, and handy. It is also very effective. We have a lot of mosquitoes around the house because we have a lot of fish tanks that eats baby mosquitoes (too lazy to Google what they are called scientifically). So the patches gives me that extra peace of mind. Of course, you could always go the extra mile by putting insect repellent on your babies' skin but better make sure it is made from all natural ingredients. Insect repellent tends to be naturally strong that's why I don't want any of those on Arya's skin. Allergic reactions is a no - no! Rookie Mommy PH - Tepok lamok! 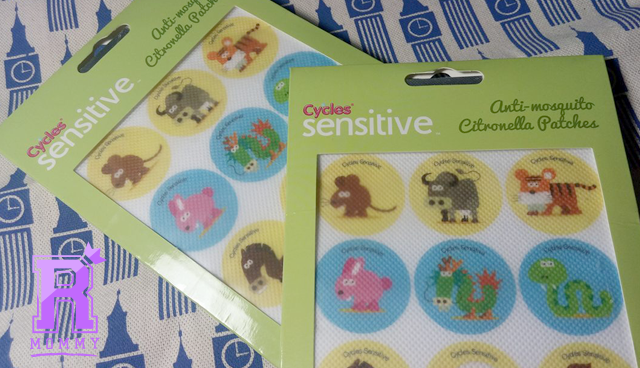 6 comments on "Cycles Sensitive Anti-Mosquito Citronella Patches Review"
they're cute! gumamit na rin po kami ng ganyan pero di ganyan kacute, and malakas ang amoy talaga niyan pero di masakit sa ilong. Gustong gusto yan ng anak ko.